In the second part of his talk, Peter Drahos outlines how concerted business lobbying inserted intellectual property into the global trade negotiations, which resulted in the Agreement on Trade-Related Aspects Intellectual Property Rights (TRIPS) becoming part of the World Trade Organisation. He sketches out some implications of this on states' ability to act on citizens behalf through regulating for food provisioning, health and environmental well-being. He uses the example of Australia's tobacco plain packaging legislation to illustrate this. See books by Peter Drahos listed in the column on the right. Carolyn Deere (2009): The Implementation Game - The TRIPS Agreement and the Global Politics of Intellectual Property Reform in Developing Countries, OUP, Oxford. Susan K. Sell (2003): Private Power, Public Law - The Globalisation of Intellectual Property Rights, CUP, Cambridge. IPRsonline.org is an internet portal on Intellectual Property Rights (IPRs) and Sustainable Development. It contains a selection of relevant online documents and resources related to IPRs and sustainable development including a guide to IPRs, proposals submitted to the WTO, discussion papers classified by topics, latest news on IPRs, and links to listservs and relevant institutions working on IPRs. Intellectual Property Watch provides a news service about IPRs across the world. The South Centre follows developments in IPRs from a developing countries perspective. Tax Justice Network is an independent international network launched in 2003. It conducts high-level research, analysis and advocacy on international tax; on the international aspects of financial regulation; on the role of tax in society; and on the impacts of tax evasion, tax avoidance, tax 'competition' and tax havens. In the first half of this interview on the Real News Network in April 2018 Peter explains both how China has been pushed into accepting IP rules by the USA and in the second half explains more broadly why he feels this is a mistake and why 'intellectual property fundamentally contributes to inequality'. Peter Drahos is a Professor in the Department of Law at the European University Institute, in Florence, Italy, an Emeritus Professor in the Regulatory Institutions Network at the Australian National University, Canberra and holds a Chair in Intellectual Property at Queen Mary, University of London. He is a member of the Academy of Social Sciences in Australia. He holds degrees in law, politics and philosophy and is admitted as a barrister and solicitor. He has published widely on a variety of topics including contract, legal philosophy, telecommunications, intellectual property, trade negotiations, international business regulation, indigenous people and intellectual property, energy governance and climate change. His publications include A Philosophy of Intellectual Property, Dartmouth (1996) and now as free download); Global Business Regulation (with John Braithwaite), Cambridge University Press, 2000; Information Feudalism: Who Controls the Knowledge Economy? (with John Braithwaite), Earthscan (2002); Global Intellectual Property Rights: Knowledge, Access and Development (with Ruth Mayne), Macmillan, 2002; The Global Governance of Knowledge: Patent Offices and Their Clients, Cambridge University Press, 2010; Intellectual Property, Indigenous People and Their Knowledge, Cambridge University Press, 2014; and Indigenous People's Innovation: Intellectual Property Pathways to Development (ed with Susy Frankel), ANU Press, 2012, available as free download; and Regulatory Theory: Foundations and Applications, (ed), ANU Press, 2017 available as free download. Global Business Regulation was awarded the Hart Socio-Legal Studies Book Prize for 2000, the American Sociological Association’s Prize in the Sociology of Law 2002 and the Grawemeyer Award in Ideas Improving World Order, 2004. 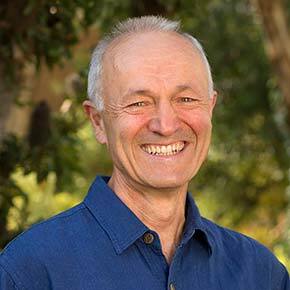 If you want to arrange for follow-up discussions for a class with Peter Drahos via the internet – over Skype or some other service - please contact him.